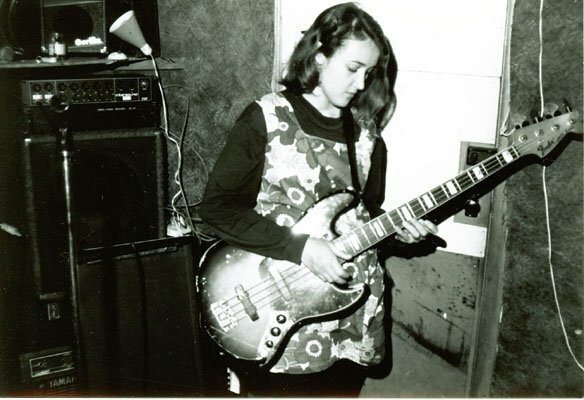 2011 marks the tenth anniversary of Belinda ‘Binni’ Deane’s passing – a local musician who took her own life following bouts of depression and a debilitating illness. A year after Binni’s death friends rallied and organised the first HOPE concert – a suicide prevention fundraiser and a celebration of Binni’s life. This tradition continues in 2011, but for the first time the event is being moved to The Patch following the closure of Binni's Oxford stomping ground in 2010. In 2008 Binni’s sister Bronwyn completed a research paper on suicide and the creative arts, using her younger sisters’ story as the background. This paper provides a lot of insight not only into Binni’s life but also the scene she was involved in. With Bronwyn’s kind permission below is an adapted and updated version of that paper. A link to the original version in pdf format is posted at the end of this article. Band members struck their instruments with all the violence they could muster. The audience joined in the cacophony. The place raged for a full minute. Belinda would have approved. 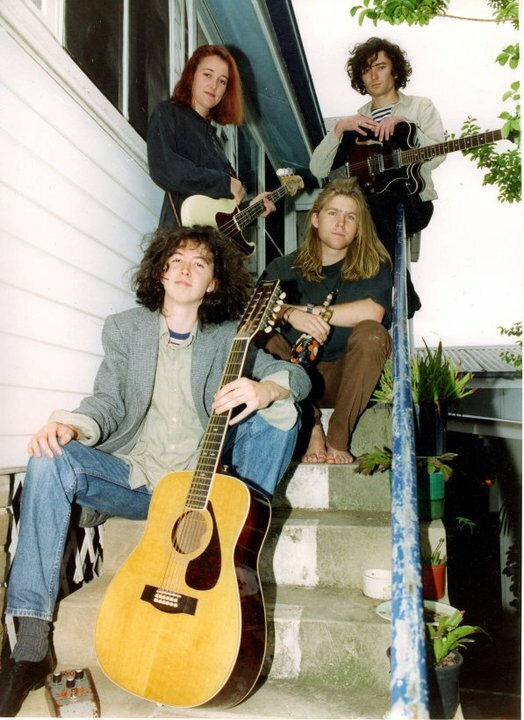 It was July 2002, the first anniversary of Belinda Deane’s suicide, and the first HOPE Concert held at Wollongong’s Oxford Tavern. 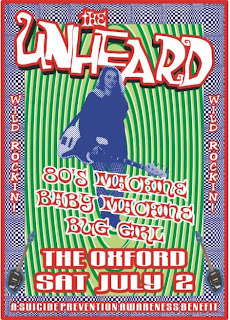 The concert became an annual event at the pub, however with it’s closure in late 2010 the event has now been moved to Oxford crowd’s surrogate home, The Patch. Belinda’s former band members and loved ones use it to promote suicide prevention. 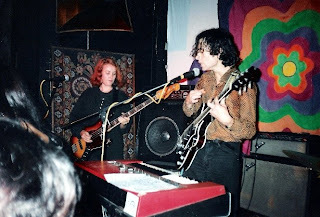 “At the first concert, we lined up bands that she had been a member of, or liked to dance to,” said Pete Conran (FUgG, The Surprise Arm, Radio Shack 5), Belinda’s partner and one of the organisers of the event. The other organisers are members of Babymachine, Rebecca Mayhew and Jacqui Besgrove. 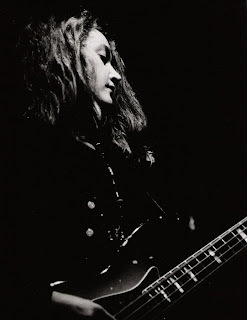 Rebecca played in all‐girl punk bands with Belinda in the 1980s. Most years the concert involved four bands, however that has grown over the years with the 2011 line-up boasting fifteen acts, including a reformed FUgG. On a personal level Pete Conran sees the concert as an attempt at atonement and a way to raise people’s awareness about the way they treat each other. “I don't want anyone else to go through what I went through, and I'm still going through,” he said. 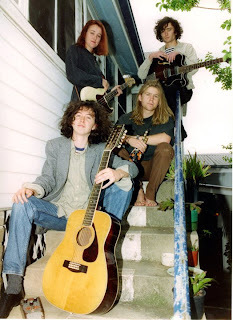 Since it began, the HOPE Concert has raised almost over $15,000 for Centacare, Lifeline and The West Street Centre in Wollongong, to support the work they do in preventing suicide and helping those left behind. Funds raised include the band members’ donated fees and takings from memorabilia sold on the night. Traditionally the audience includes a mixture of Belinda’s friends, others who have experienced loss through suicide and people who just come along for a dance. At the first concert in 2002, 72 year old Elizabeth Flanagan got up for a dance. 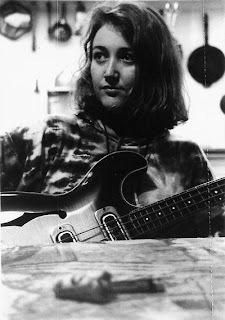 She was there with her sons Chris and Colin who had played in the band Man Bites Dog with Belinda in the 80s. Belinda left school in 1980 when she was 16. Wollongong’s economy was in recession. Global restructuring of heavy industry was having an impact on a region that for more than a century had been defined by mining and steel. Young people faced very high rates of unemployment, estimated to be around 40 per cent. There were few opportunities for the young. For those that rode the red rattler up the escarpment to Sydney each day, it was an act of desperation not a lifestyle choice. In 1980, Wollongong was a masculine society, still steeped in traditionalist blue collar values. Career options for girls who left school early were clear cut: they could be shop assistants, nurses or mothers. In an interview with social researcher Emma Mayhew in 1994, Belinda said that when she left school she was advised to stay out of male‐dominated fields because she would be put down for being the only woman. But Wollongong’s industrial identity also created a strong sense of community, and spawned an unusual level of social activism focused on the problems of the working poor and the unemployed. 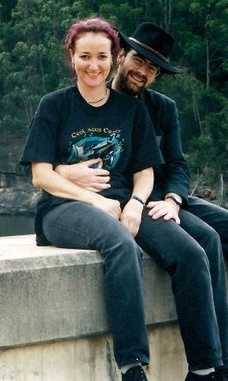 Nick Southall, a founding member of the Wollongong Out of Workers’ (WOW) Union, and now an historian documented WOW’s activities from 1983 to the early 90s. In his report The WOW Factor, Nick wrote that the organisation drew its membership from “a wide variety of ‘outlaw’ cultures ‐ punks, petty criminals and drug addicts,” and that this may have contributed to its high public profile. With the help of trade unions, WOW set up office in an empty house opposite the dole office in Market Street, and ran a food co‐op and welfare rights centre, and produced a newspaper, posters and films. Redback Graphix had its genesis there. Dissatisfied with the lack of opportunities for live performance, Trevor Barham set about disturbing the status quo. He was the lead singer for local band Visitor. He established a musicians’ and technicians’ co‐operative, called the Acme Co‐op. 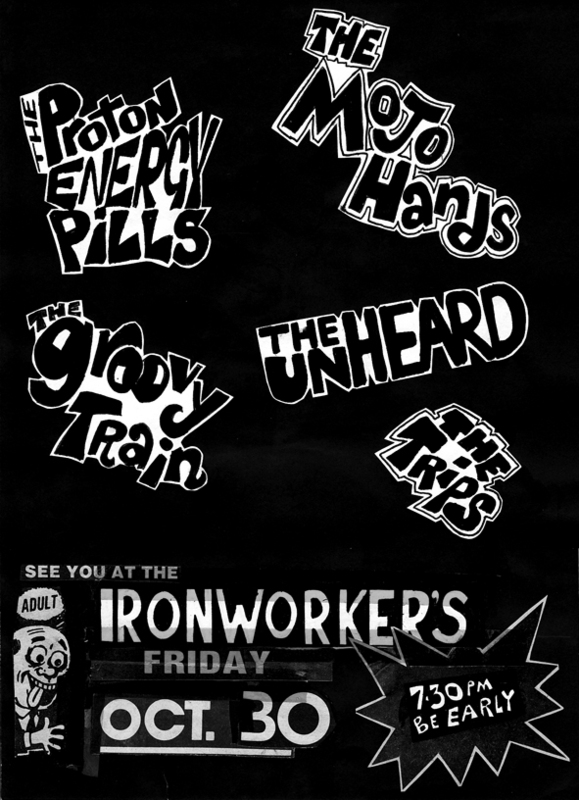 The Co‐op lined up regular gigs at the Ironworkers Club on Crown Street. Acme boasted 70 members at its height and during its short lifespan cultivated a large local following for bands like Visitor, Sunday Painters, Nik Nok Nar, Young Home Buyers and The Rezistors. Belinda was an enthusiastic member of the Acme Co‐op. She headed up an energetic group of fans that prepared promotional posters for gigs and pasted them around town. Bill posting was still considered seriously deviant. Like London’s Bromley Contingent, this colourful group of fans became as much a part of Co‐op gigs as the musicians themselves, and even produced a few musicians and artists from its own ranks. To these young fans, dress and hairstyle were the materials for magnificent statements of style and personality. They turned cheap into chic and made op shops fashionable. Much of this frenetic activity happened at the Community Youth Support Scheme (CYSS) centre in Burelli Street. The CYSS provided a place for young unemployed people to socialise and learn new skills. There was an emphasis on inclusiveness and relevance to the interests of youth. Training was provided by professional furniture builders, jewellery makers, printmakers and musicians. Wollongong offered fertile ground for punk culture. Rebecca Mayhew, guitarist and vocalist with Babymachine, thinks it had a lot to do with the way people viewed themselves. “Wollongong doesn’t have self‐confidence, doesn’t take itself too seriously,” she explained. Belinda was determined to be a musician, despite the fact that she had no formal musical education. All of her friends were in bands. At the age of 17, in 1981, she started out playing keyboard in a grungy garage in Coniston with Paul Hausmeister (The Unheard, Tumbleweed, Monstrous Blues), Shaun Pyrah and Erik Eklund. They would come together a decade later with The Unheard. In 1982, she bought her first bass and started playing in Sus‐Spenders with Rebecca Mayhew and Chris Flanagan. 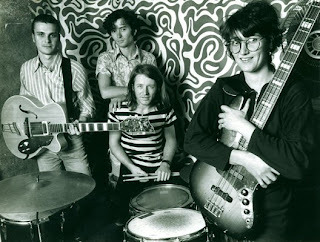 Belinda, Tim Van den Berg and Pat Brownlee turned the derelict garage at Belinda’s place into a practice space, much to the disgust of neighbours. After losing two members the band experienced a lull, during which Belinda explored her music writing skills. It was also during that period that she suffered the sudden onset of rheumatoid arthritis in the joints of her hands, hips and feet. She was 28 years old. It is perhaps ironic that the gig at the first HOPE Concert held in Belinda’s memory in 2002, gave the band an incentive to reform after a significant break. Belinda went back to education, and completed a science degree at the University of Wollongong in 2000. Throughout her studies, constant pain and the side‐effects of painkillers sapped her energy and love of life. Her mobility was increasingly impaired and she was beset by bouts of depression. Six months after finishing her degree, at the age of 36, she took her own life. Her degree was conferred posthumously. The HOPE Concert has been running now for ten years. Pete Conran says he will continue to hold them as long as he is able. Rebecca Mayhew says it has become a Wollongong tradition and that is what will keep it going. Pete says the focus is on hope and celebration of life. His optimism is infectious. The next concert will be held at the The Patch on 2July, 2011. 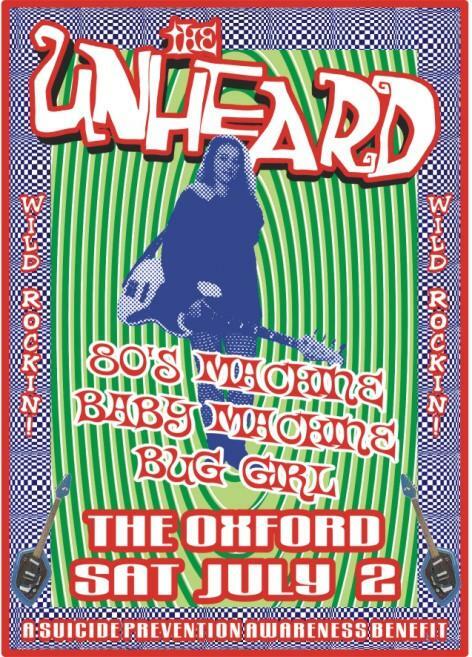 The line up include: Swinging Beef & The Daptoids, Bulldoze All Bowlos, Money Killed Johnny, Smasheddybash, The Merchants, George Eliott, Mind at Large, The Nice Folk, Babymachine, Obscura Hail, Disco is Dead, Ye Luddites, Topnovil, Hy-test, FUgG. Thanks to Pete Conran, Bronwyn Deane, Tom Dion and Steve O'Brien for their help on this piece. If you or someone you know may be at risk of suicide contact beyondblue 1300 22 46 36, Lifeline 131114 or Salvo Care Line 1300 36 36 22. Fantastic article for a great cause. See you there. It was a real blessing to have shared some great years with such a group of great friends, Binni is often in my thoughts and forever missed. 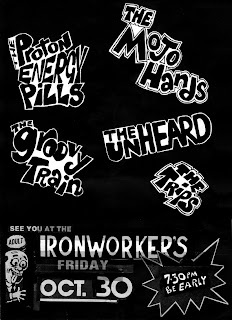 Hope to get to one of the HOPE gigs when i'm back in the 'gong again. Many thanks Nathan for a great website, i'll be speaking with Peter MacKinnon soon and discussing how we can provide more content. In the meantime, please feel free to link to our page www.thesundaypainters.org sadly in need of an update =) But, all things being equal, we hope to have some great news in the coming year. Hey Dennis. Please contact me (Warren) via email (steelcitysound@gmail.com). I've been talking to Michael Train so I think have a fair idea what your "news" is. Thanks for the wonderful story. Insightful, evocative and inspiring.